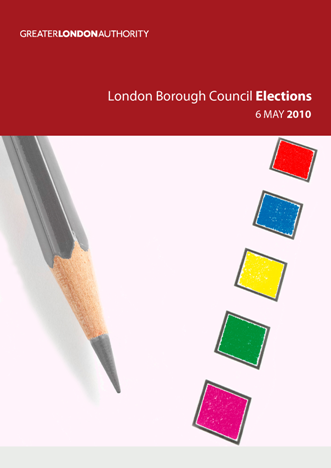 With the aim of making the democratic process as transparent as possible to the London electorate, this report includes a great deal of detail on every aspect of the 2010 London Borough council general elections. No other single volume presents the full results and election statistics from the 32 London boroughs enabling the reader to analyse and compare the results across London in one place. The report presents data for every candidate in every ward (excluding the City of London which operates on a different electoral model). Summaries are provided in the form of maps and tables, and to make comparisons easier, they mostly match those included in the 2006 report with a few useful additions. Hard copies are available from the Intelligence Unit for £20. Please contact intelligence@london.gov.uk or tel 020 7983 4922 (credit card or cheque accepted). 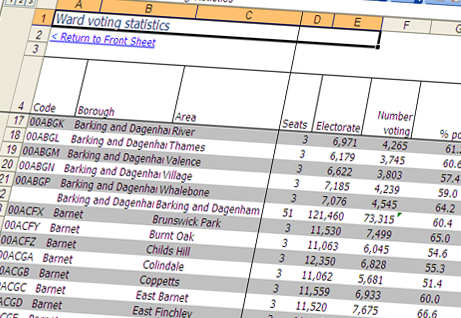 All the data contained within the 'London Borough Council Elections 2010' report can be accessed in this spreadsheet. This contains results for each candidate standing in all 624 wards in the London boroughs (excluding the City of London which operates on a different electoral model). ● A summary of the number of seats won by each party by borough including political control. ● Ward and borough turnout data. 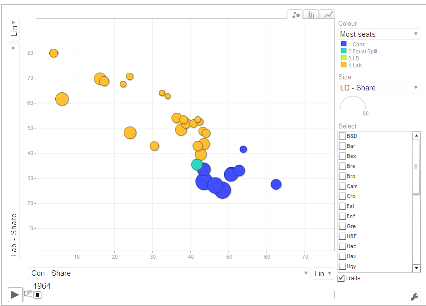 This motion chart shows the relationship, between share of votes and seats won by the major parties in elections since 1964 at borough level (requires Adobe Flash Player). 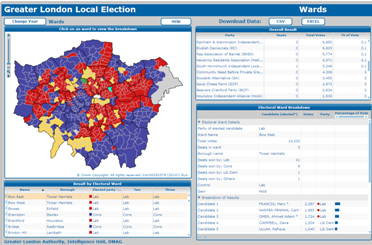 These interactive ward maps help to geographically present election results from 2006 and 2010 and display results for each candidate (requires Adobe Flash Player). Data for the elections in the three boroughs that directly elect a mayor (Newham, Lewisham and Hackney) are not included in the map but are included in the Excel spreadsheet of results.